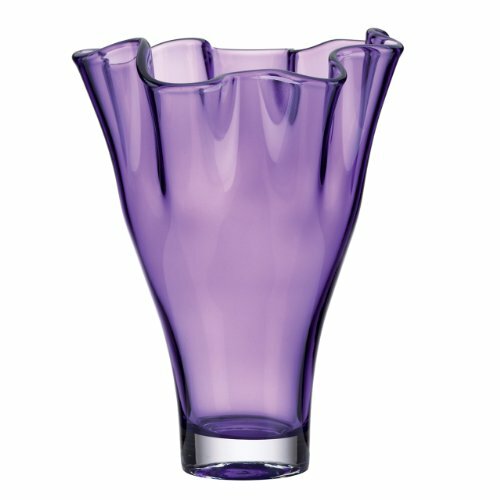 This amethyst crystal vase is the perfect shade of purple for the bedroom. If you want the perfect purple accent for your purple bedroom, this is it. It's subtle and the purple tone is charming and adds personality. This vase measures 12-inches high and is made of a non-lead crystal glass. There are also three other colors available to compliment other colors in the home.